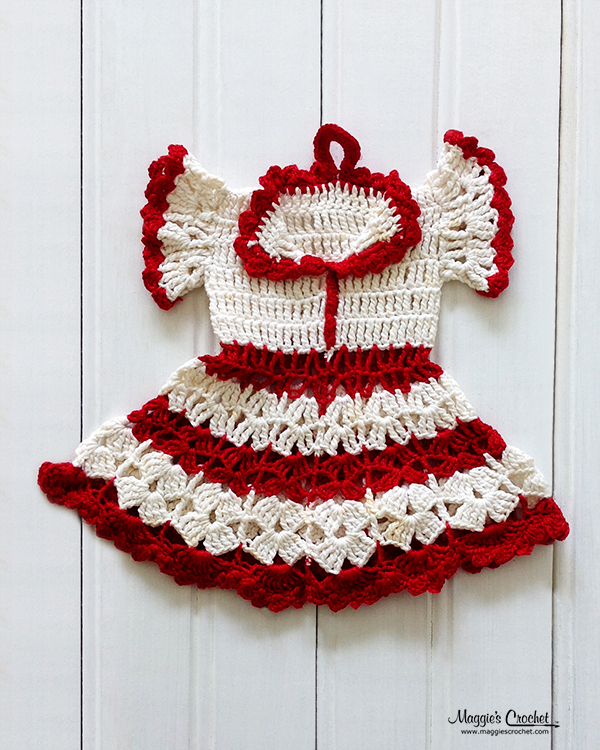 At first sight, crochet dress potholders appear to be doll clothes. These cute little dresses actually served a practical purpose in the kitchen from about 1945 through 1960. The war was ending and husbands were returning to the home ready to fix things up. 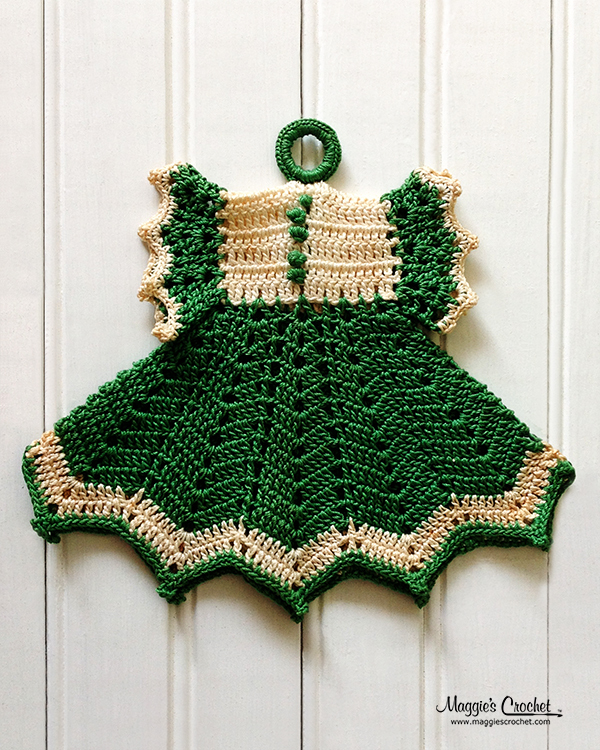 Crochet was a popular craft and women took the domestic role of dressing up the kitchen, literally, with cute shaped potholders. The style was simple, the patterns were easy to make and quick to stitch, making them the ideal decoration that could also be used to prevent scorched tables or hands. 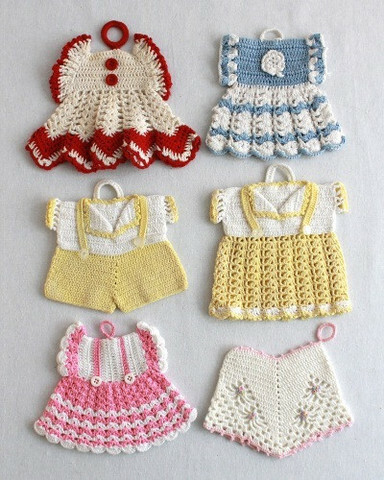 You can get your own vintage crochet potholders by searching auctions and vintage stores. 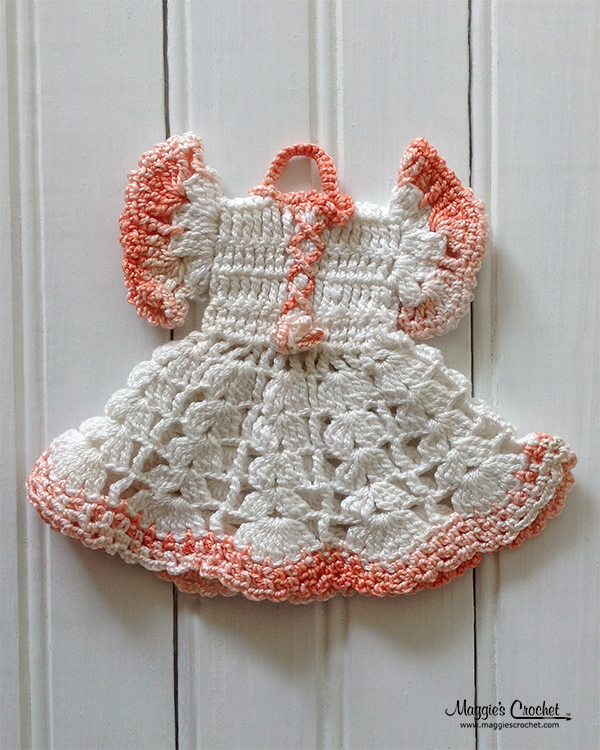 If this is too much work for you, then consider making your own replicas using Maggie Weldon’s patterns. 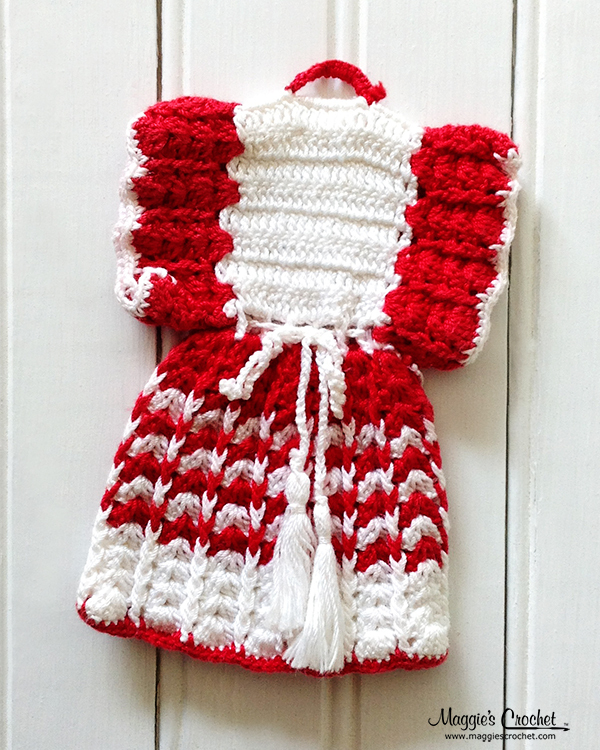 Choose your own colors to match the kitchen space and have fun recreating a part of crochet history. 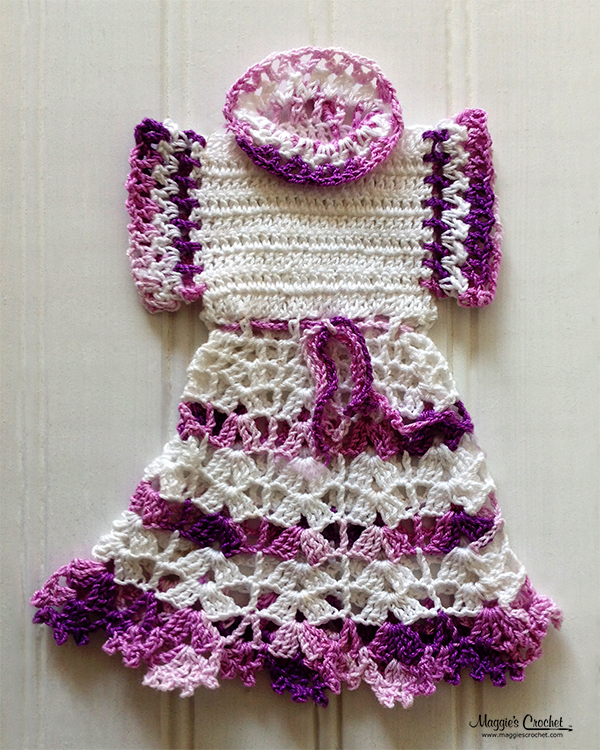 While all of the potholders shown about are from Maggie’s own private collection, we also have several patterns for crochet dress potholders available at our website. Here are just a few that might interest you. 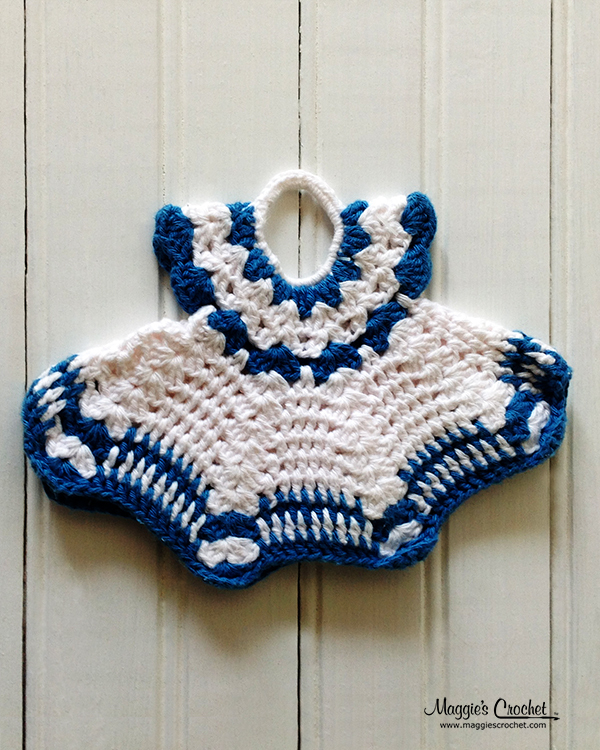 There is even a free pattern to get started with your vintage crochet potholder recreation. 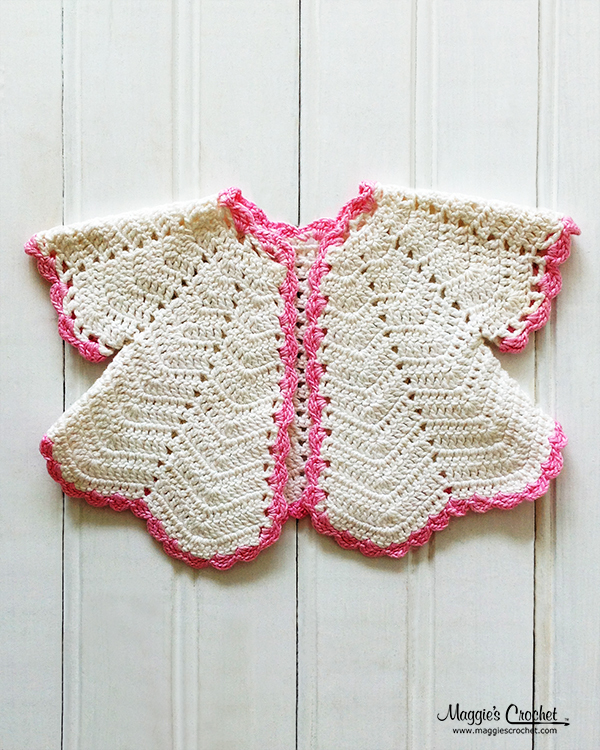 With cooler weather on the way, you might like my free pattern for the basket weave stitch cowl neck warmer. 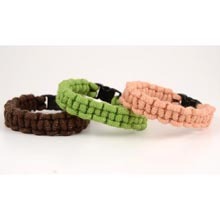 My grandmother could always be found with a crochet hook and either thread or yarn. 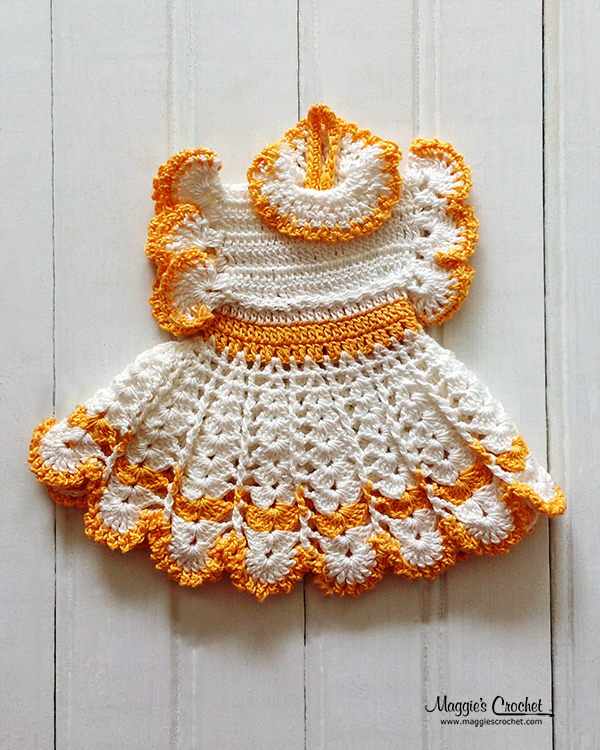 She made many “dresses” for her kitchen along with doilies and afghans. 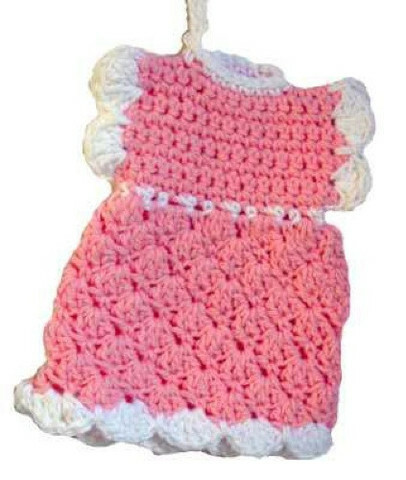 She taught me to crochet and make doll clothes when I was 5 years old. She very seldom used a pattern. I have and use her steel hooks. Some of which were stamped with the price of ten cents.